Generally the Maryland Motor Vehicle Administration can only issue a learner’s permit to anyone who has reached 15 years and 9 months; issue a provisional license to anyone who has reached 16 years and 6 months; and issue a license to anyone who has reached 18 years old. Before age 18 you can, with parent’s or guardian’s permission, obtain a learner’s permit or provisional license. In addition, Maryland has a graduated driver licensing program. This means that if you are under age 18, you must go through several phases with varying restrictions before obtaining the same driving license as an adult. For more on the Maryland’s graduated licensing system for new drivers, called “Rookie Driver”, visit the Maryland MVA’s Rookie Driver Graduated Licensing System page. The Maryland MVA has specific restrictions when it comes to minor drivers. 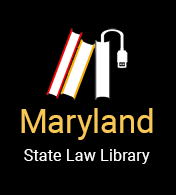 For example, the Maryland MVA may not issue a learner’s permit to an applicant under 16 if the applicant has more than 10 unexcused absences from school during the prior school semester. The Maryland MVA must suspend a minor’s license upon notification from a court that a child has committed a delinquent act. When a child is adjudicated delinquent or found to have committed a delinquent act (without an adjudication) for the offenses of (1) failing to remain at the scene of an accident involving bodily injury, death, or property damage; and (2) fleeing and eluding a police officer, the clerk of the court must report that information to the MVA. On notification, MVA must suspend the license of the child for six months for a first adjudication or finding that the child committed the offenses, and for one year for a second or subsequent adjudication or finding. For people who hold a learner’s instructional permit, the Maryland MVA cannot issue a provisional license if they are younger than 16 years, 6 months, or within 9 months of that individual being convicted of a moving violation or granted probation before judgment for a moving violation. For people who hold a provisional license, the MVA cannot issue a driver’s license if they are younger than 18, or within 18 months of either (1) the date that they are convicted of a moving violation or a violation of their provisional license (or granted probation before judgment on those issues), or (2) from the date their provisional license is restored from being suspended, revoked, or cancelled. For an individual younger than 18 with a provisional license who commits a moving violation, the MVA may suspend the driver's license, impose an education and employment only restriction, and require the driver to attend a young driver improvement program. The MVA can impose greater punishment with repeat offenses. The Maryland MVA is required to notify the cosigner of a minor’s driver’s license application about every citation issued to the minor for a moving violation. The notification must include identifying information and information about the violation, which can include the amount of a fine or number of points that could be assessed against the minor. Minor drivers are restricted about who they can have with them in automobiles. If you are under the age of 18 and have a provisional license, you may not drive a car with passengers under the age of 18 for the first 5 months (151 days) of having that license. A minor can drive a car with minor passengers if there is an adult in the car who is at least 21. The adult must have a driver’s license for at least 3 years and be seated next to the driver. Minors can drive passengers who are under 18 if they are related to the minor. This means they are a spouse, sibling or other family member who lives in the same house. If a minor driver is pulled over for another offense, the police can cite them for this offense. The minor driver can have their driver’s license suspended or revoked. Any citation under this specific law is considered to be a moving violation. The minor is driving to or from a job, official school activity, organized volunteer program or is participating in an athletic event or related training session. Finally, minor drivers cannot use any wireless communication device (including a hands-free device), and must always use their seat belt. Can I drive my little brother to…? Yes, immediate family members and other family members living at the same address can all drive together. It is the only exception where you can be in a car with those under the age of 18 without someone 21 years or older. Can I drive my date to the movies… prom… homecoming…? If you and your date are both under 18 years old, you may not drive without the accompaniment of someone 21 years or older. Can the police pull me over just for seeing several teens in my car? Technically no. The police can only enforce this law as a secondary action. According to the law, the police can only cite you for this if you have already been pulled over for a “suspected violation” of another law. That being said, if you are pulled over, the police are likely going to cite you. My 14 year old cousin came to visit. Can we drive together? No. The family member exception only applies to family members who have the same address as the driver. I was at a party and I wasn't drinking. Can I drive my friends who were drinking? While being responsible and not letting your friends drive seems like the lesser of two evils, if you are pulled over and you meet the above conditions, you will be cited for the minor passenger restriction. I'm not 18 yet, but I just received my full driver's license. Does this still apply to me? No, the new laws only affect those on provisional licenses, not those who have moved on to unrestricted drivers licenses. How can my friends and I drive any place together? The only way for people under the age of 18 to drive together in a car is if someone over 21 is driving or is sitting next to a minor driver. What if I want to drive with someone over 18, but is not 21 or older? Someone under the age of 18 can drive with someone 19 years or older. However, the presence of the 19 or 20 year old does not mean that s/he is an adult for the purposes of this law. This means, that although you can drive with a 20 year old, you can’t drive with the 20 year old and someone else under the age of 18. What if I'm a babysitter or nanny? What if driving my client's children is part of my job? There is no babysitter exception. All of the above rules apply. Maryland has severe drunk and drugged driving laws, including increased penalties and expansion of the ignition interlock program. If a minor is convicted under these laws, they could have their license suspended for up to two years. If a minor driver is charged with any other violation that results in a suspension for the same event, the suspension under this law must run concurrently, or (at the same time. That means the minor driver would face consequences for all the violations possible under the impaired driving laws and the provisional driving license laws. Any driver under the age of 21 has a license that automatically says “Under 21 Alcohol Restriction.” The alcohol restriction prohibits the minor from driving or attempting to drive while they have alcohol in their blood. The law states that this is an alcohol concentration of 0.02 or more at the time of blood or breath testing. If a minor driver is suspected of driving while high, and they refuse to take a blood or breath test when an officer requests, they can have their license suspended in addition to receiving traffic citations. Assuming a minor violates these laws, they may be able to participate in the “Ignition Interlock Program” that will allow them to receive a restrictive license instead of a suspension. A minor must meet certain criteria to qualify. Read more about Maryland’s Impaired Driving Laws on MVA’s Maryland Impaired Driving Laws page.